Liverpool to tie down Marouane Chamakh? 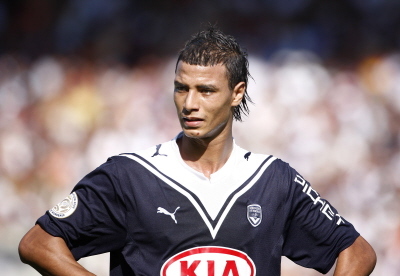 Liverpool have attempted to steal a march on their rivals by offering a pre-contract agreement to Bordeaux striker Marouane Chamakh, who has found himself to be somewhat of a hot property of late. Arsenal (especially), Tottenham, West Ham and Juventus have all been linked with Chamakh’s name in the past few months and Liverpool hope to tie down the striker’s signature whilst still allowing him to see out the season at his current club. As the Moroccan is out of contract in the summer, he is free to sign a pre-contract deal with a foreign club and Liverpool wish to capitalise by offering him the chance to defer a move until the summer. This would also suit the Anfield club as it has been widely reported that manager Rafa Benitez has minimal funds available for transfers. With Atletico Madrid midfielder Maxi Rodriguez looking set to sign for a similar cut-price fee in the next few days, a shrewd, albeit delayed, move for Chamakh would represent a couple of smart deals by Benitez, who is often derided for his lack of transfer nous. Liverpool could do with the extra firepower immediately but if they can tie down one of Europe’s most in-demand forwards for free then it may go some way to restoring some of the sceptics’ faith in Rafa’s judgement.